Take the guesswork out of feeding your lawn. With Scotts® Lawn Pro™ 4 Step Program you start the season with all of the bags of fertilizer you will need for the entire season. Step 1: Apply in early spring: February - April. Prevents crabgrass all season. Feeds for a fast green-up after winter. Step 4: Apply in fall (August -November) and it develops a stronger root system and quicker green up next spring. For a Naturally Green Lawn! Contains Espoma's exclusive Bio-tone(R) formula! It is safe for the environment, your children & pets! It is a non-burning, long lasting fertilizer that provides slow release nitrogen. 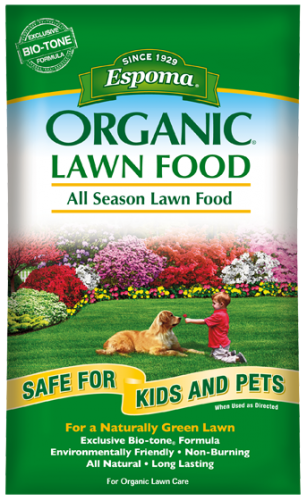 Great for use on all lawns, including newly seeded and sodded areas.